Enrich your visit with a guided walk. Photo by West Coast NEST. Signs along several sections of the trail offer self-guided interpretation year-round. 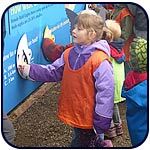 Children’s interactive signs at Big Beach Park, First Nations signs at Terrace Beach, historical signs at the Lighthouse Loop and natural history signs at points of special interest, will enrich your understanding as you enjoy the views on the trail. Follow us on Facebook to learn about current trail events. 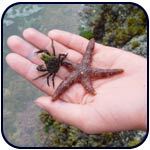 Ucluelet Aquarium guided Tidepool Tour, every other Friday in the summer. 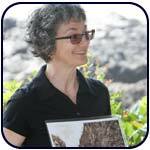 Our Trail Ambassador also leads "Treasures of the TIde" walks on Fridays. 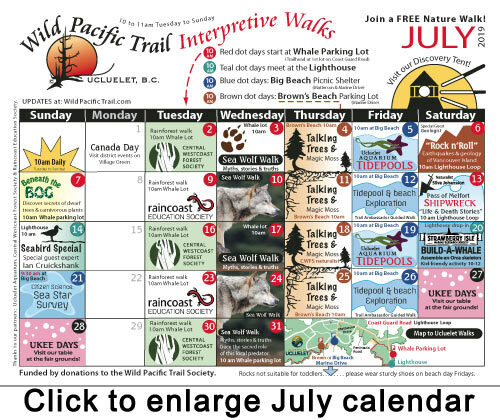 The Wild Pacific Trail is a unique outdoor classroom that offers incredible opportunities to connect people to nature. Easy to walk, one hour programs aim to engage both visitors and local communities. Topics range from natural to cultural history. Take a walk on the wild side! 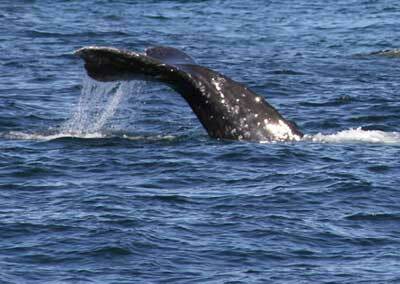 Myths, stories and truths trace the sacred role of these fascinating creatures. Question: Why are micro plastics harmful to sea creatures? 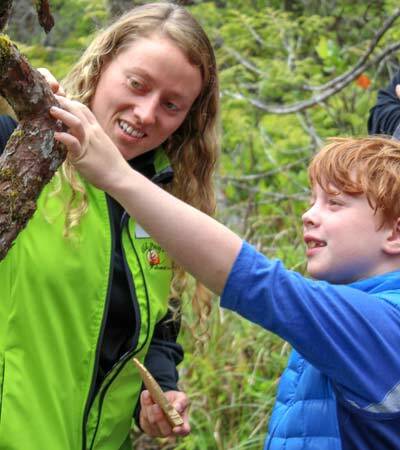 Join our Trail Ambassador for a first hand discovery of plants and animals living here. Follow us to touch a real shipwreck! Rubber boots or sturdy footwear is highly recommended. This walk inspires respect for unseen creatures and the impact of plastics on the ocean. This tour is not suitable for toddlers due to the rough rocky terrain, small children must be supervised by an adult please. Question: What whales have teeth? there are three distinct ecotypes with very unique diets and behaviour. 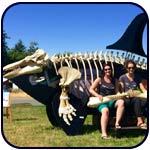 Join this popular hands-on activity building an actual size Orca skeleton. Drop in at the picnic shelter for this family friendly event. Parking is at Marine and Matterson Road. Silva Johansson offers two walks during the summer months. BOG SURPRISE: Enjoy a guided walk into the unique and strange world of a bog with an expert guide. Magical insights into carnivorous plants, explosive spores and why wetlands are the heros of our planet. Pass of Melfort Shipwreck Walk: Silva Johansson leads this walk to the site of a tragic shipwreck that inspired the creation of Amphitrite Lighthouse at the turn of the century. In the Spring you can attend her indoor multi-media shipwreck presentation. Watch this page for updates. 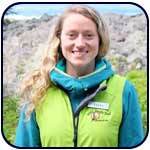 The trail society sponsors a naturalist to welcome you to a Discovery Tent at Amphitrite Lighthouse. If you miss the 10am program your questions will not go unanswered. Start your walk at the whale parking lot trail head and gather your questions as you walk. If the naturalist is off duty interpretive signs answer frequently asked questions. In order to ensure accessibility to everyone, programs are offered at no charge (no admission or parking fees). 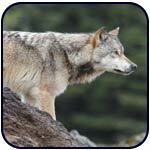 These programs depend on donations from visitors. This sample calendar list our summer walks from last season, a similar bonanza of guided walks are planned for this season. Check back for dates. 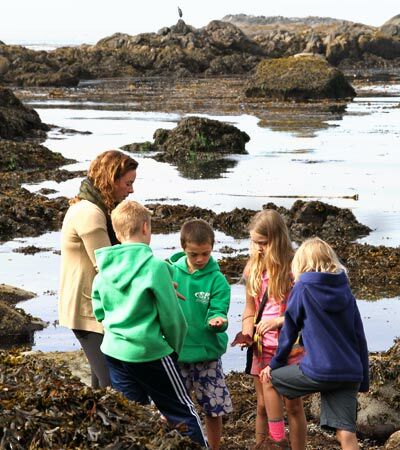 We are grateful to program experts such the Ucluelet Aquarium the Raincoast Education Society, Pacific Rim National Park Reserve, Silva Johansson, and Central Westcoast Forest Society for their expertise. 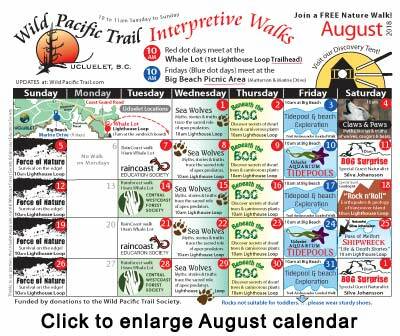 The trail society sponsors these walks and networks with the District of Ucluelet.